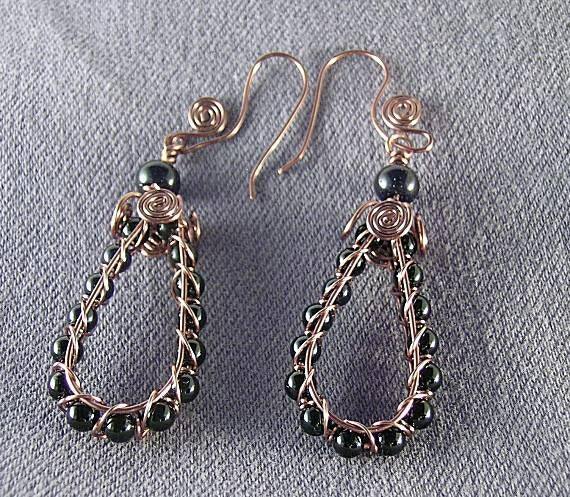 Woven wire hoops in the snake design with 4mm black obsidian beads incorporated into the weave. 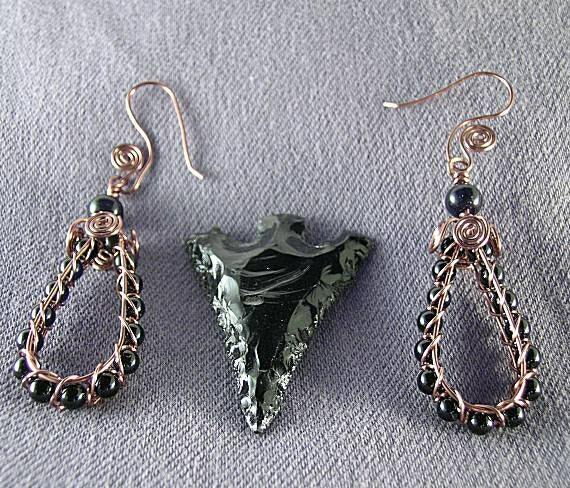 At the top of the hoop, four spirals face the four directions before the 8 x 4mm obsidian roundel completes the pendant. 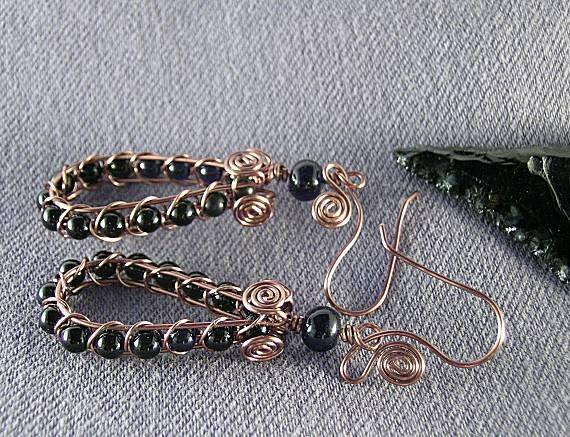 The pendant is attached to a handmade matching spiral ear wire. The picture is of the antique copper. The overall length is approx. 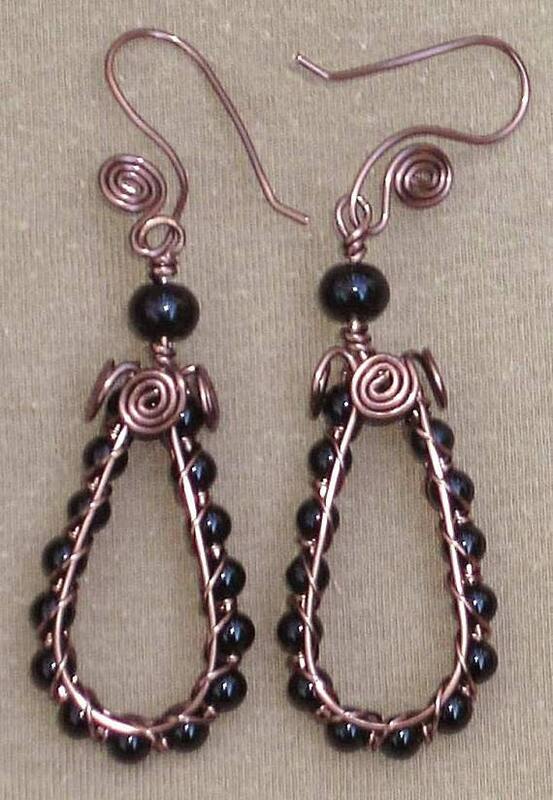 60mm or 2 3/8 inches from bottom of hoop to top of earwire. This is a Lisa Barth design. This listing is for copper. 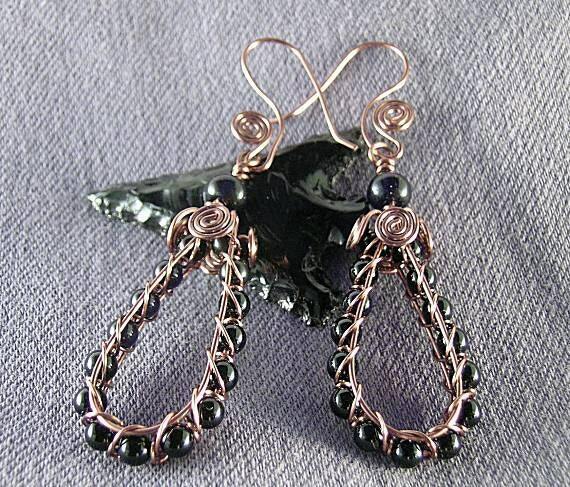 Can be custom ordered in antique copper, bronze and plated silver as well as Sterling silver. Contact us if interested.